In his lone North American Hockey League season, 20-year-old Seth Eisele has become a fixture in the net for the Lone Star Brahmas, having recently led the team to a playoff spot. It wasn’t long ago, however, that his future in the sport was hardly certain. His journey to get here was hardly a given either. While at Stillwater High School in Minnesota, Eisele found himself behind current Sacred Heart University goalie Josh Benson. As a result, Eisele made just four appearances each in his sophomore and junior years. That led to Eisele considering his future options for hockey. He was unaware of the junior route until teams began to reach out to him. Eisele, who had hoped to play college hockey, headed off to Wenatchee, Washington, where he had a successful season and strong playoff performances for the Wild in Canada’s British Columbia Hockey League. Then an offseason trade to the Surrey Eagles set him back. 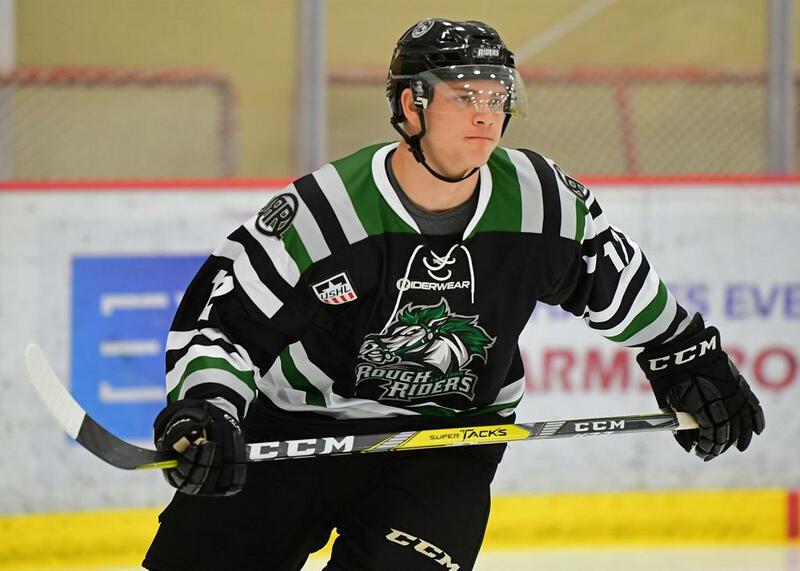 Eisele made the 27-hour drive home and headed for the NAHL Showcase as a spectator and a player in search of a team. An advisor made a connection with the Brahmas, and Eisele made sure to watch all of the team’s games. He tried to get a feel for what the team needed and what he needed to do to be successful if he got another chance. Brahmas coach Dan Wildfong agreed to bring Eisele to Texas for a tryout. Eisele practiced with the Brahmas, became the No. 2 goalie, then took over as the top netminder when Harrison Feeney made the midseason move to play at the University of North Dakota. All of Eisele’s success led to one special moment in February, when he committed to play college hockey at Lake Superior State University in Michigan. Eisele said he understood that being released indicated he had work to do on his own game. He can check off the list of areas he is concentrating on off the top of his head. Now the team has found its way, along with the goalie. “We’ve had a lot of ups and downs, but that helps build chemistry,” Eisele said. “In the beginning of the season, we were in last place, not in playoff position. Eisele is 16-8-1 with the Brahmas and ranks in the NAHL’s top 10 in both goals against average (2.29) and save percentage (.927).